1818: In 1818 the townhouse on the corner of 14th & Pennsylvania was leased to Joshua Tennyson for a hotel. 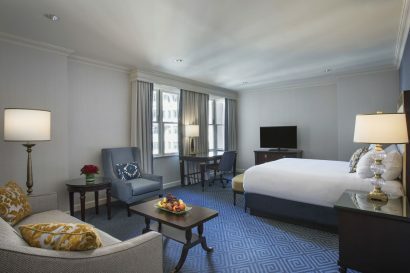 From then on, but for rare intervals, The Willard (known under various names throughout the 200 years) has been on the corner of 14th Street and Pennsylvania Avenue. 1901: Under the ownership of The Willard family, the hotel structure is torn down and rebuilt, to the Beaux-Arts structure that remains today. 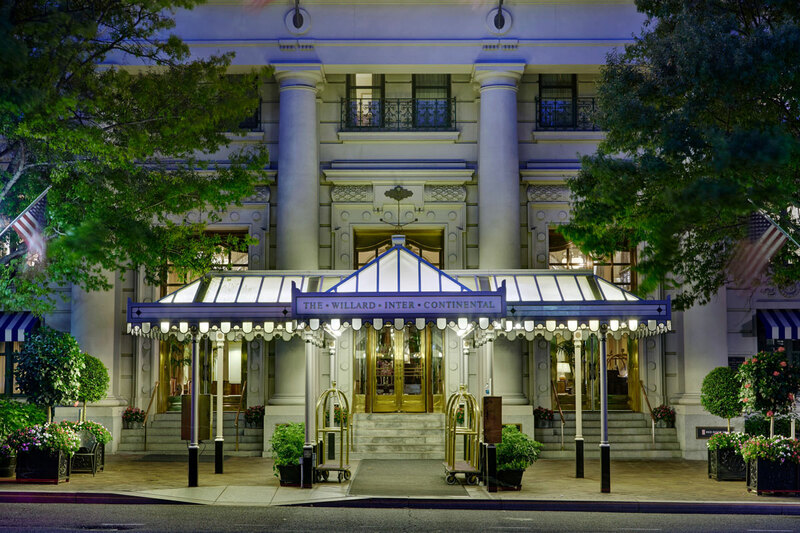 1986: After 18 years of closure, The Willard is restored to its former glory and reopened as the Willard InterContinental Washington, DC in August 1868 thanks to the OIliver T Carr Company and InterContinental Hotels Group. Markus Platzer, General Manager of the historic Willard InterContinental, Washington D.C. comes to Washington with nearly 30 years of experience managing dynamic, award-winning hotels around the world. Platzer is an Austrian native who has set a standard of excellence throughout his career, developing programs and personnel across major metropolitan areas in Asia, the Middle East and Europe. He began as front office staff at the Park Hilton in Munich, Germany, and eventually earned a role as Sales Manager at Hilton’s International hotel in Vienna, Austria. In 1992, he joined the IHG team at the InterContinenal Hotel Abu Dhabi, and in a few short years became the Regional Manager – Travel Trade Development for the United Arab Emirates, working from the company’s hotel in Dubai. He returned to Europe in 2001 as Director of Sales & Marketing for InterContinental Hotel Prague – the hotel where he first led operations as Resident Manager – before launching a seven-year stint in Bangkok, Thailand, overseeing four hotels in the country. Since leaving Thailand, Platzer has served as Area General Manager for IHG in Japan, based at the InterContinental Tokyo. As the world’s first international luxury hotel brand, InterContinental Hotels Group has been pioneering travel across the globe for over 70 years. We’re proud to share both international know-how and local cultural wisdom with our guests every day. Steeped in 200 years of history, The Willard InterContinental has played host to the world’s social and political elite since 1818. 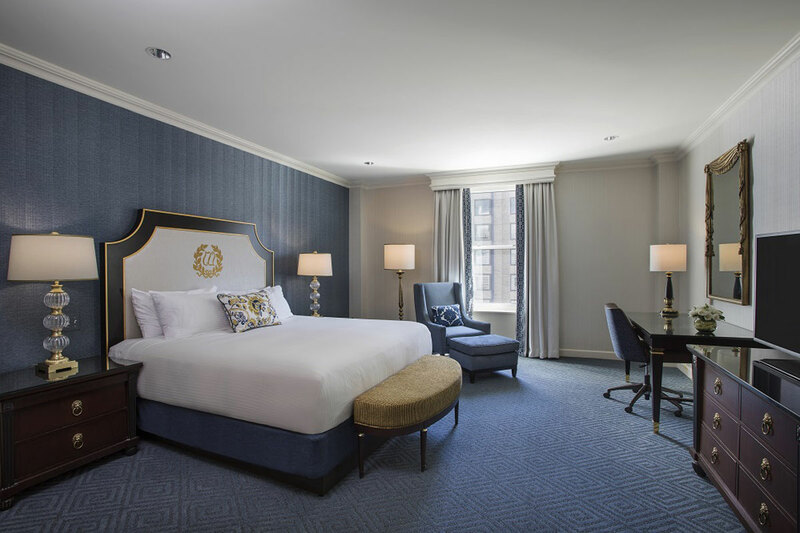 The Willard offers 335 spacious and elegantly appointed guestrooms that exude a unique blend of contemporary luxury and historic charm. Located in the heart of Washington, D.C., one block from The White House, The Willard InterContinental offers a variety of distinctive hotel services and luxurious amenities to elevate the guest experience including a complimentary Tesla Chauffeur service, a Les Clef d’Or Concierge team, Agraria bath products, a state-of-the-art 24-hour fitness center, 24-hour business center, on-site spa services by The Red Door by Elizabeth Arden, valet parking, gift shop, florist and jewelry store, just to name a few. While on property, guests can enjoy a truly authentic French bistro experience in a casual atmosphere at Café du Parc, named one of the best al fresco restaurants in the city, sip a classic cocktail at the coveted Round Robin Bar, one of the oldest bars in D.C., as well as take part in Afternoon Tea in Peacock Alley, a cherished tradition at The Willard since 1880. 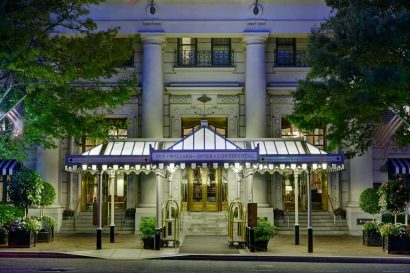 The seasoned, international staff of the Willard InterContinental Washington, D.C. welcomes travelers from around the globe. 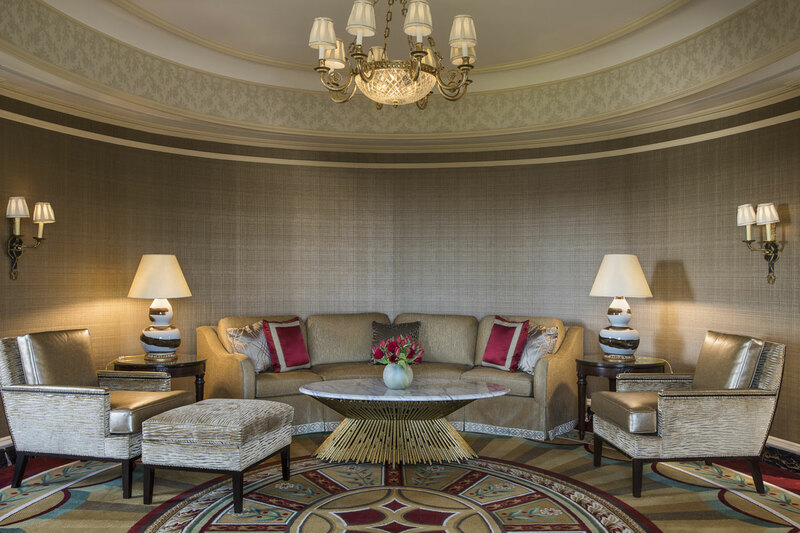 Worldly, refined and discerning, the qualities of the modern traveler, and the essence of the InterContinental guest. With every journey you take, whether business focused or wanderlust inspired, our ambassadors enhances your stay with exceptional service to ensure an unforgettable experience. The Willard InterContinental Washington, D.C. is a landmark hotel rich in tradition, elegance and style. Located in the heart of downtown, D.C., the hotel is one block from the White House, within walking distance of the National Mall, Washington Monument, Smithsonian Museums, Spy Museum, Capital One Arena, Walter E. Washington Convention center, Theater District, and just a short taxi ride from Capitol Hill, Union, Station, the Library of Congress, and Georgetown/The West End neighborhood. The hotel is conveniently accessible from Ronald Regan Washington National Airport (DCA), Washington Dulles International (IAD) and Baltimore Washington International Airport (BWI). National Parks, golf, tennis, Segway and bicycle rentals, sightseeing bus tours, Jefferson Memorial Tidal Basin paddle boat rentals (weather permitting), walking and jogging trails, horseback riding in Rock Creek Park, just to name a few. Kentucky Statesman Henry Clay first introduces the Mint Julep outside of Kentucky in the Round Robin Bar. It would later become the hotel’s signature drink. The Willard is selected to house the first ever Japanese Delegation to the United States. Comprised of three Samurai ambassadors and an entourage of seventy-four, the Japanese delegation came to Washington to meet with President James Buchanan to ratify the Treaty of Friendship, Commerce and Navigation in an effort to build a close relationship between the two nations. Chaired by ex-President John Tyler, the historic Peace Convention is held at The Willard in a last ditch effort to avoid the Civil War. President –elect Abraham Lincoln takes up residence at The Willard for ten days prior to his inauguration. He pays his hotel bill with his first presidential pay check. Julia Ward Howe pens the immortal words of the Battle Hymn of the Republic. Dr. Martin Luther King, Jr. sat in the hotel lobby with his closest advisors to make final edits to his famous “I Have a Dream” speech just hours before delivering it on the steps of the Lincoln Memorial. Academy Award-winning director, Steven Spielberg and Academy Award-winning actor, Tom Cruise film scenes for Minority Report throughout the hotel. Barack Obama, the country’s first African-American U.S. President leads his Inaugural Parade past the hotel. 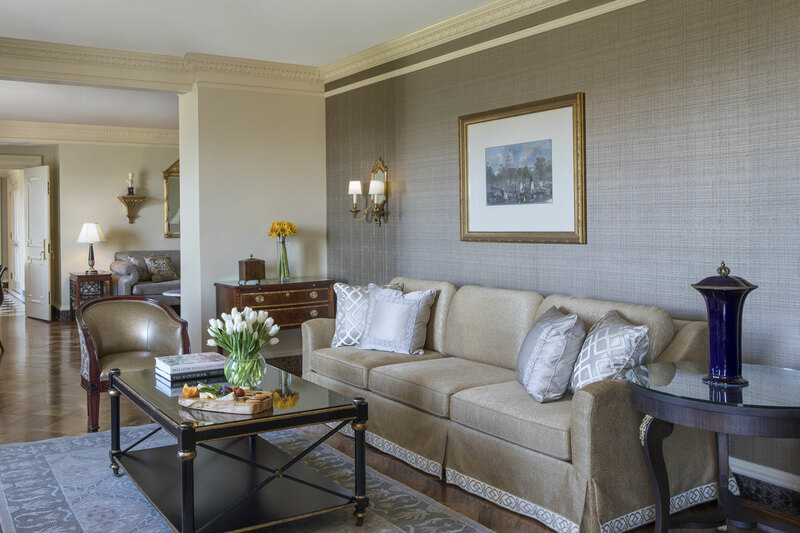 Tailored to children 11 years and younger, The Willard’s Kids Concierge offers a selection of amenities and activities to ensure that even the youngest of guests have a luxury experience to remember. Led by Kids Concierge Brian Thomasson, this service aims to both ease the stress of family travel, as well as enhance the family experience at The Willard, by providing families with the resources needed for a seamless stay. • Families are contacted prior to arrival to identify any in-room amenities needed, such as a crib, stroller, rollaway, microwave, etc. Additionally, a list of family friendly activities and restaurant options tailored to the child’s age(s) is provided. • A complimentary in-room dessert amenity that caters to either the sweet tooth or health conscious. • A Children’s Library that offers young guests the chance to “check-out” a book during their stay with their Willard Library Card. • A treasure chest containing a variety of board games and toys that children of all ages are welcome to borrow with their Willard Treasure Chest Card. • Children have the opportunity to earn “Millie Bucks” during their stay that can be redeemed for a sweet treat at Le Bar inside of Café du Parc. 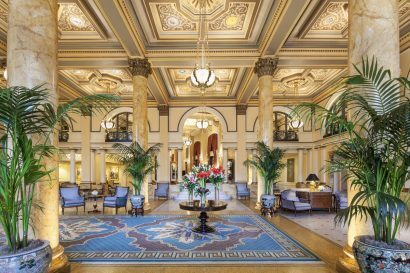 • Family-friendly history tours of The Willard on Saturdays led by a member of The Willard’s Concierge team. 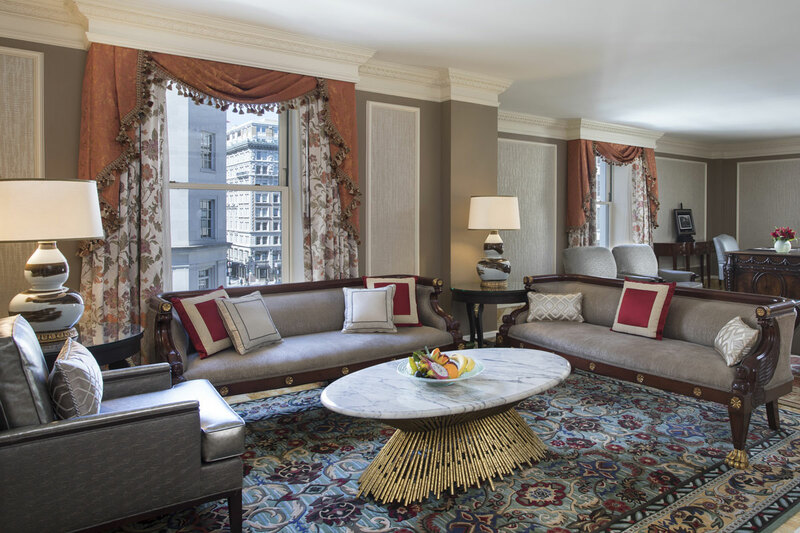 The Willard has hosted many prominent and respected names from the worlds of politics and art over the years, and the one-of-a-kind Specialty Suites salute some of the most notable figures in American History. These are the most spacious suites in the Willard and are decorously furnished with objects d’art and custom-designed furniture that resonate with classic Federal and American Empire styles. All guest rooms feature InterContinental exclusive Simmons Beautyrest Black mattresses, 47” HDTV’s with premium and international channels, high speed internet, large desk with electrical outlets, Chargeport charging station, dual line telephones, separate bathroom telephone, climate control, Illy Coffee maker, Bose radio, Agraria bath products, in-room safe large enough for a laptop, mini bar, iron and ironing board, lighted make-up mirror, extra blankets, hair dryer, bath scale, robes, bath tubs (additional separate showers in select suites), doorbell with privacy peep hole. 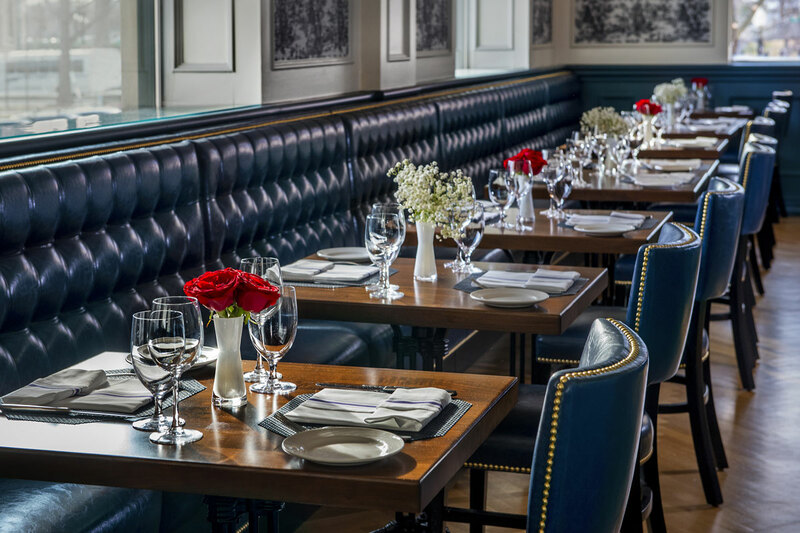 Discover a truly authentic brasserie experience where traditional French food fuses with a modern, casual atmosphere in the heart of the nation’s capital. Cafe du Parc has a one-of-a-kind menu enhanced by the use of locally sourced items and Cafe du Parc’s 3 star certified Green Restaurant status. Named of the best al fresco restaurants in Washington, D.C. and a Washingtonian 100 Very Best Restaurant, Cafe du Parc is the perfect place to savor delicious French fare by Executive Chef Peter Laufer at an iconic Pennsylvania Avenue address, located inside the acclaimed Willard InterContinental Washington, DC. 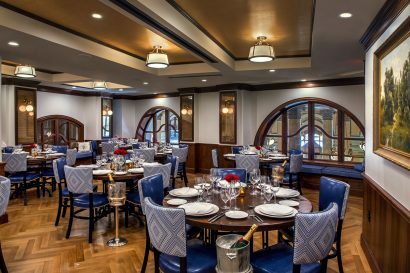 Located on the first level of Café du Parc, Le Bar is open from morning until night, evolving throughout the day to meet the changing needs of bistro-goers. Enjoy a delicious house made pastry and cup of Lavazza coffee in the morning, a quick midday bite in the afternoon, or a decadent dessert along with a glass of wine from our extensive wine-by-the-glass list in the evening. For a taste of the finer things, The Willard InterContinental proudly hosts Afternoon Tea in Peacock Alley. Featuring live harp music, an array of organic teas, finger sandwiches and fresh decadent pastries, Afternoon Tea at The Willard is held throughout the year Friday through Sunday; 1:00 p.m. to 4:00 p.m.
Join us for a drink in the historic Round Robin Bar. 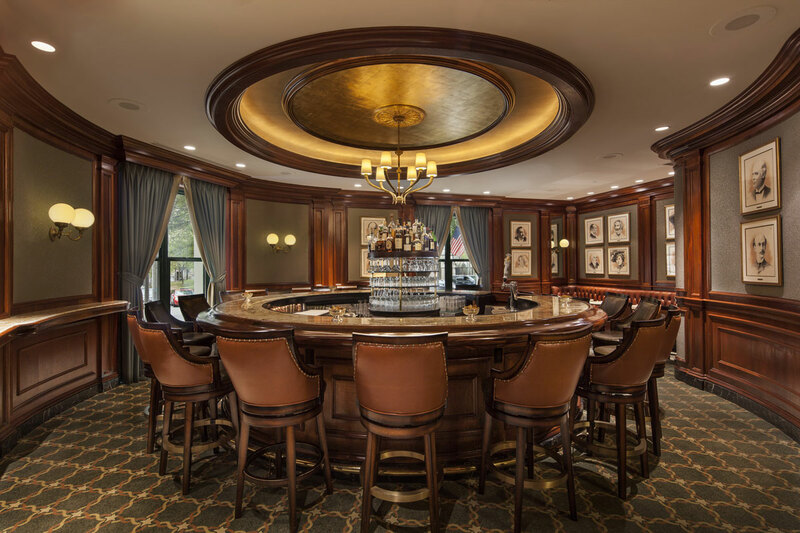 Located on the lobby level of the historic Willard InterContinental, the iconic Round Robin Bar has been a lively meeting place for Washington, D.C.’s political and social elite since Abraham Lincoln. Long celebrated as one of the best in D.C., this legendary bar was known as the nexus of “Rum Row” and the “E Street Corridor” — plying its trade to luminaries such as Mark Twain and Walt Whitman. Today, this fashionable downtown spot draws a smart, stylish cross section of DC movers and shakers. 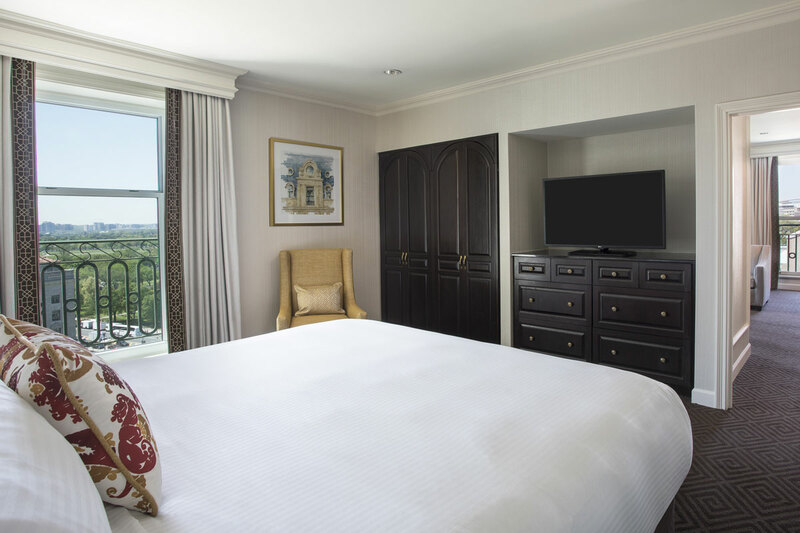 After a long day of meetings or sightseeing around the nation’s capital, the quiet of your Willard guestroom beckons. 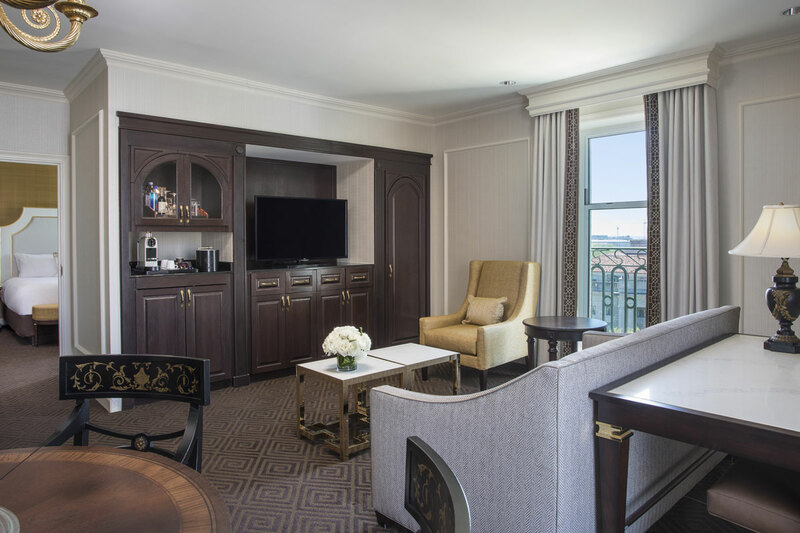 Savor world-class cuisine from the privacy of your room with our 24-hour in-room dining menu. Vegetarian and gluten free options are available upon request. Located on the second floor, The Willard Health Club and Spa offers a state-of-the-art fitness center and luxurious spa services by The Red Door by Elizabeth Arden. • All-encompassing menu of luxury services that includes rejuvenating skin care treatments, facials, body treatments, manicures, pedicures, makeup artistry, and soothing massage including hot stone therapy, deep tissue massage, and aromatherapy techniques. • A variety of full and half-day signature and specialty experiences for women and men, as well as bridal spa packages and wedding makeup services. Host your event at the Willard InterContinental Washington, D.C. and become a part of this landmark hotel’s rich 200 year history and tradition of excellence. A renowned Washington D.C venue, The Willard has been the centerpiece of our Nation’s Capital for social events spanning generations. From iconic ballrooms to intimate gatherings overlooking Pennsylvania Avenue, The Willard offers a truly exclusive setting, with breathtaking facilities and impeccable services. The hotel offers 22,000 square feet of event space for unique gatherings of 10 to 450 people. Held monthly at The Willard InterContinental Washington, D.C., this two-hour event distills American history through cocktails, while also providing attendees a hands-on class on the art of cocktail making. Led by Jim Hewes, a venerable mixologist and legendary bartender at The Willard’s iconic Round Robin Bar, and featuring rotating historians, authors and journalists, History Happy Hour offers a mixology lesson “straight up” with history “served long,” a perfect pairing for cocktail aficionados and history buffs. • Washington DC’s “Top 40 Hotels | 2016” by the editors of UltimateHotels.com.